At OCL Group we are committed to creating a knowledgeable workforce in learned environment where people are listened too, are safe and reach each their potential, prosper, and where rewards are shared. We focus on a broad spectrum of activities for our operatives and staﬀ through initiatives aimed at improved communication, health, safety and wellbeing, training and development and employee recognition, developing the OCL Engineers of the Future. As a company we recognise the importance of building and maintaining a knowledgeable and skilled workforce to ensure we are able to readily resource schemes with talented people who can deliver works of a high quality. We invest over 10 % of company proﬁt every year in training our staﬀ and core operatives as to ensure sustainability and growth, this constitutes thousands of hours spent on training courses throughout the year. 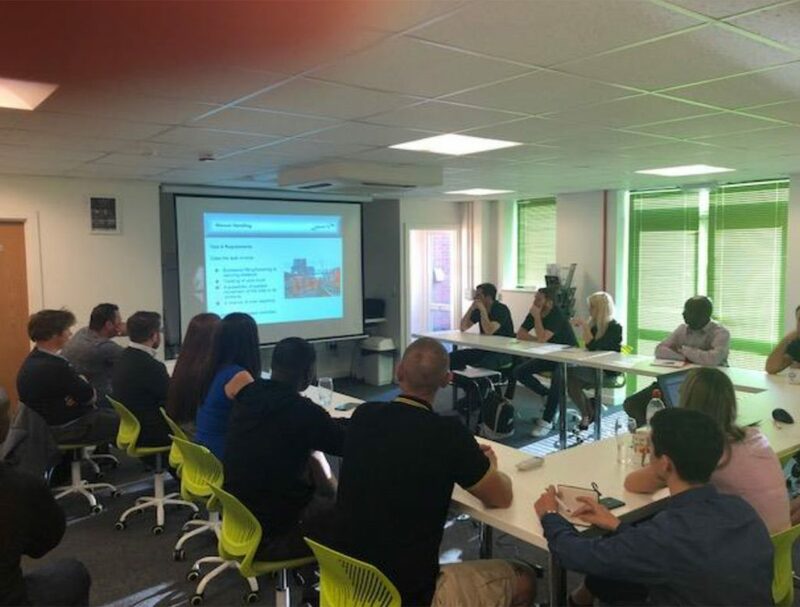 We utilise only approved Construction Skills-accredited Training Centres along with the required infrastructure locations to deliver a signiﬁcant quantity of this training, from our apprenticeships to QCFs to CITB Site Safety to Network rail and LU courses. We have also spent a vast amount of time and money on our own internal training hub of which we are extremely proud This unique facility enables in-house training courses invigilated by our SHEQ and compliance staﬀ. This is driven passionately by our Managing Director and has given operatives the opportunity to be rewarded for their eﬀects in learning. Each one of our core team are placed into our training hub system and is then given set target dates to achieve certain knowledge exams formulated in the ﬁrst instance by our projects, SHE and Quality and Project / Construction managers. These exams are based around industry standards and BSI standards regarding HSE and installation. Many of our knowledge tests that are formulated within our training hub are bespoke to project requirements and are built in alignment with our clients approved inspection and test plans ITPs and system requirement speciﬁcations along with setting out health and safety exams based upon client and infrastructure HSE planned General inspection forms and criteria. We have 20 bespoke exams so far that allow us to implement our skills card encouraging our earn as you learn scheme. Our managers panel monitors each and every exam that our operatives are working on, meaning managers can identify areas where operatives may be having diﬃculties. Each operative receives bespoke feedback which will enable them to develop their understanding. Certiﬁcates are sent out whenever operatives hit their targets, with additional reward via pay increases when all subject modules have been completed.